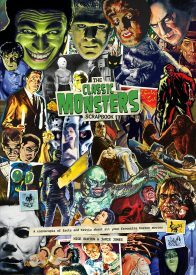 The world of classic horror movies is packed with all kinds of trivia, and so is the Classic Monsters Scrapbook. 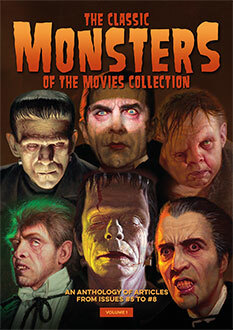 It’s packed with information, not to mention rare stills you may never have seen before, making it the perfect way to immerse yourself in classic horror lore. Each lovingly designed page is crammed with beautiful stills and artwork as well as the kinds of horror movie trivia you’ll be glad to recite to friends, loved ones and people on the bus. From little-known facts about the movies themselves, to anecdotes from the lives of their casts and crews, this publication is absolutely packed with information. Each section of the Scrapbook focuses on a specific decade, making it easy to find your favourite film. 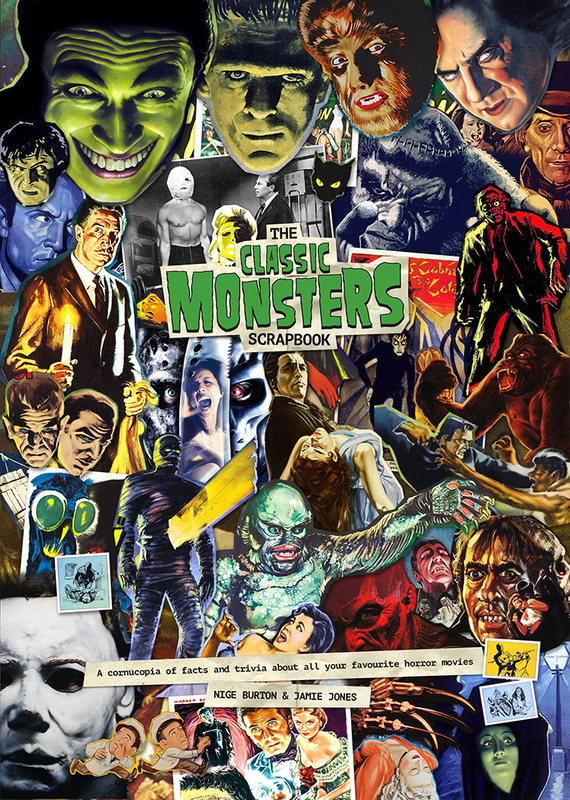 It doesn’t matter whether you’re a casual fan of classic horror or a thoroughbred devotee, the Scrapbook is an ideal companion to your favourite movies. Whenever you need a fix of fiendish facts, it’s perfect to dip into – but you’ll soon find yourself so immersed in the atmospheric design and wealth of horror movie trivia that you won’t want to come up for air!